Washington State is 71,362 square miles in size which makes it difficult for all of the dealerships within the state to attend meetings at our headquarters in Auburn Washington. In the early days of the WSIADA, it was decided to separate the state into chapter regions to allow for all dealers, members and non-members alike, to attend meetings closer to their location. Within each chapter, there are leadership positions such as Chapter President and Chapter Secretary to assist the dealers in their area. In addition, each chapter president sits on the WSIADA Board of Directors. WSIADA consists of 7 active chapters available: North Cascade, North Sound, South Sound, Vancouver, Yakima, Tri-Cities, and Spokane. 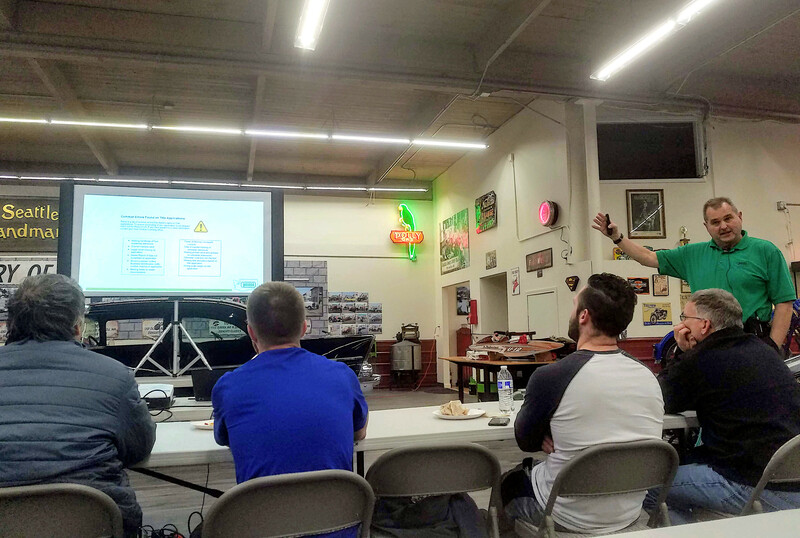 These chapters are available to all dealers, attending the bi-annual meetings are free and contain knowledge to help growth of a dealership as well as give opportunities to voice concerns or issues currently. It’s a great avenue for dealers to meet their peers in the area and create network relationships with each other. Those who attend a chapter meeting can earn 3 hours of continuing education toward their license renewal. Members of WSIADA receive automatic credit for their Continuing Education. Non-members can have their hours processed for a small fee. Registrations are processed online through the calendar.